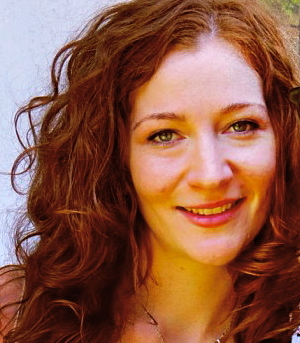 Sara has recently started training at Twirly Girls. S he also trains at Studio Botan in San Francisco. When Sara signed up for PPC she was training with Studio Botan, and had registered with Studio Botan as her main studio. Since then she has started training with us. I thought it was really sweet when I told Sara I wanted to make her some TG swag for the competition and I wanted to write a short bio on her. She told me she felt bad since she would be representing another studio and it was too late to add us as her second studios. I told her it didn’t matter, she was still part of the Twirly Family, and representing Nor Cal. 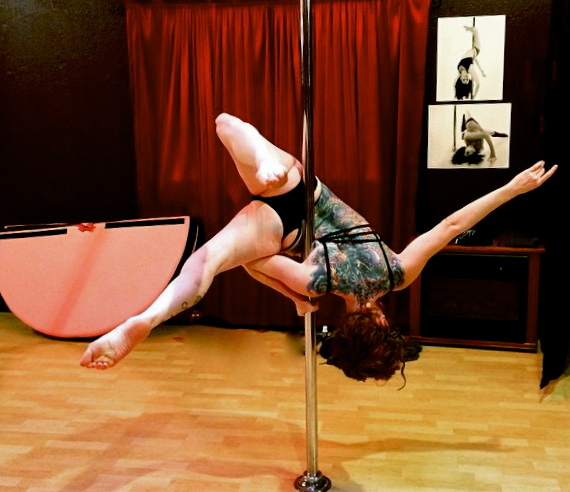 I started doing pole in the beginning of 2014 and have been seriously hooked ever since! My background is in classical ballet and I’ve been a certified Pilates instructor since 2003. I took classes all over the Bay Area before I found my pole home in SF, (where I live) Studio Botan. I started coming to Twirly Girls mid-December of 2014 and immediately fell in love with the studio and Ellen’s teaching. I had heard rumors of how good she was and I was not disappointed! I feel so incredibly lucky to now be a part of the TG family and don’t think I’d feel nearly as ready as I do for PPC without their amazing coaching and support. This is my first pole competition and I am doing Level 3 Championships-Senior (which makes me feel old.) The main reason I’m doing PPC is because when I started pole dancing, I knew I wanted to be a competitive pole dancer, so….here we are! No time like right now and I’m so excited to take the stage and perform! We’re really happy to have Sara join our Twirly Team, and we’ll be there cheering her on, along with her other fellow Studio Botan Team mates! Nor Cal Pole Posse Representing.